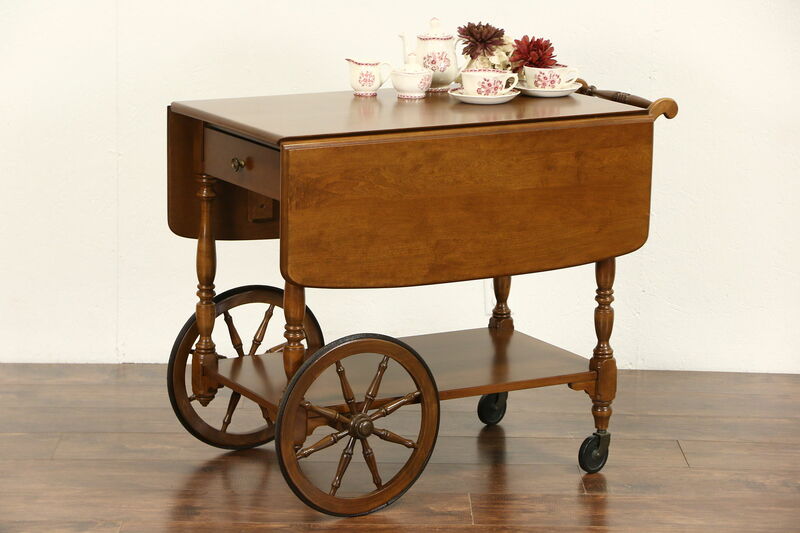 Signed by famous maker, "Ethan Allen," a solid maple tea or dessert cart or beverage trolley is about 50 years old. The renewed finish is in excellent condition on this American made vintage furniture. Size with the dropleaves down is 32" long, 21" wide and 29" tall, excluding the folding handle. With both dropleaves raised, width is 41." Due to the size, shipping alone can run in the $300 range. We recommend shipping with another item or store pick up. Please call or email for a quote.